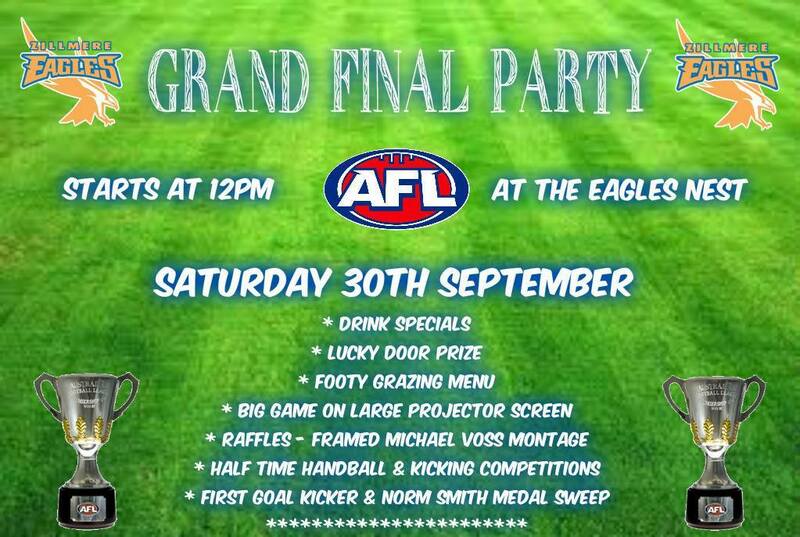 A fun day for the family and for anyone interested in trying out the great game of AFL! 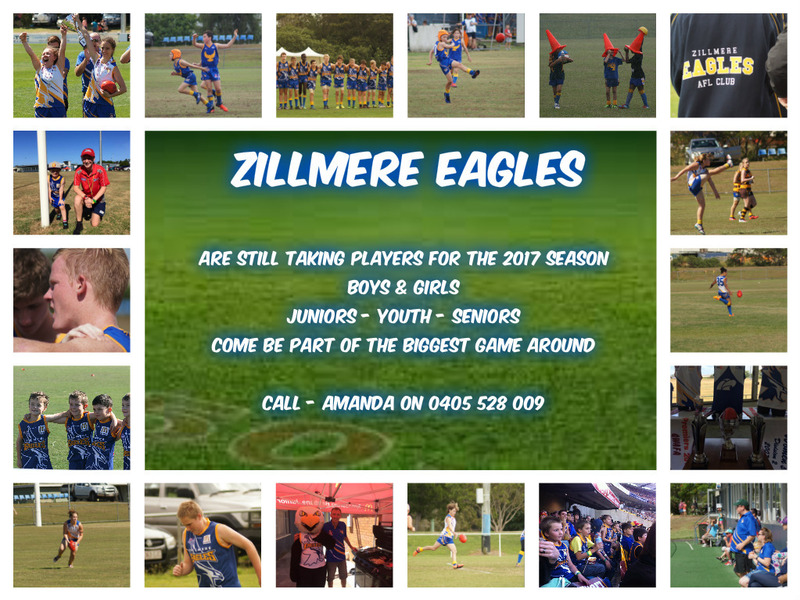 Zillmere Eagles Family Day is our pre season catch up! 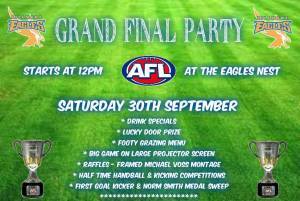 Come and have a drink, let the kids play with their team mates or cool down on the slip n slide! If you have family or friends who want to come and try out the game or join up, pls share this post with them! Some great raffle prizes and a free sausage sizzle for the kids too. Uniform shop will be open. GO EAGLES! 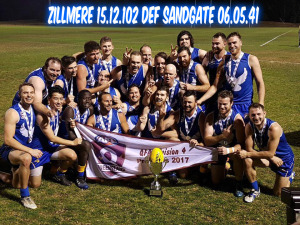 The Annual General Meeting of the Zillmere Eagles Junior Australian Rules Football Club (ZE Jnrs) will be held at the Clubrooms, 340 Zillmere Road, Zillmere, at 6.30pm on Wednesday, 28 November 2018. 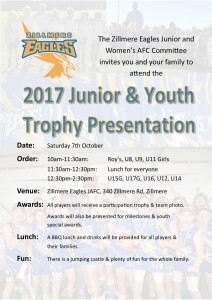 This AGM will be held jointly with the AGM of the Zillmere Eagles Senior Men's (ZE Snrs) AGM. During this year a steering committee formed from Committee Members of both Clubs has been negotiating terms for the amalgamation of the two Clubs into one. Your Committee believes that the proposed amalgamation will have benefit to us in increasing our attraction for players, members, volunteers, and sponsors. 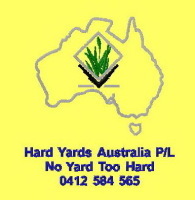 It will also benefit us as a larger organization in dealing with our suppliers, including our landlord for our premises at Zillmere. Your Committee recomends that you vote "Yes" to the proposed amalgamation. General Committee Member (between two and seven required). 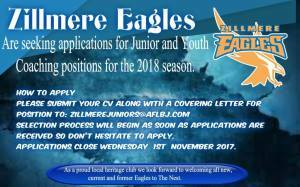 Nominations, preferably on the attached form, should be received by the Secretary either by mail to P O Box 358, Virginia, 4034 or via email to zillmerejuniors@aflbj.com.au, by 20 November 2018. Any Member wishing to submit a Notice of Motion for debate at the Annual General Meeting should submit such Notice of Motion to the Secretary, as above, also by 20 November 2018. Come and join the fun at the Night at the Nest! A great way to catch up with the club before our school holiday break. Click on the pdf for more details. See you there! Round 11 of Get Started Vouchers opens on Wednesday 24 January 2018. 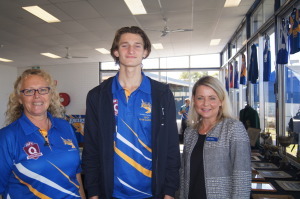 The program provides eligible children and young people aged 5 to 17 (inclusive) who can least afford to join a sport or recreation club with a voucher valued up to $150 for membership and/or registration fees. It should be noted that vouchers are issued on a first come, first served basis; therefore there is no guarantee that an eligible child or young/person will obtain a voucher. Clubs can apply for registration for Get Started Vouchers at any time. Registration is valid for the entire program period so there is no need to register for each round. You may also want to ‘like’ the Queensland Sport and Recreation Facebook page to keep up to date. We also have some great posts you can share with your affiliated clubs and associations. Promotional materials can be used to advertise involvement. This is available at www.qld.gov.au/recreation/sports/funding/getinthegame/getstarted/promoting. As we approach Christmas, I wanted to take the opportunity to share with you my thoughts on the year that was! 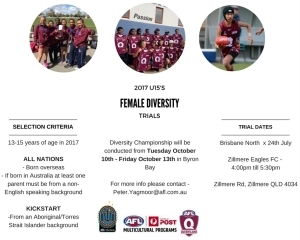 In 2017 we fielded 2 senior teams in the both the Men’s and Women’s competitions , 10 junior/youth teams and a great Auskick program for the younger kids. 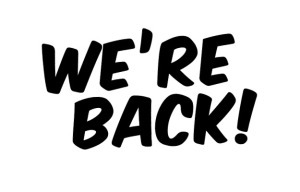 We also had great success with both our U14’s side and Senior Men’s team winning their respective Grand Finals, our new clubhouse was opened and since has given us significant revenue to enable financial growth in 2018. We had many successes this year as a family community sports club, for which we should all be very proud. The Committee has been very busy over the past couple of months planning some great things for 2018. 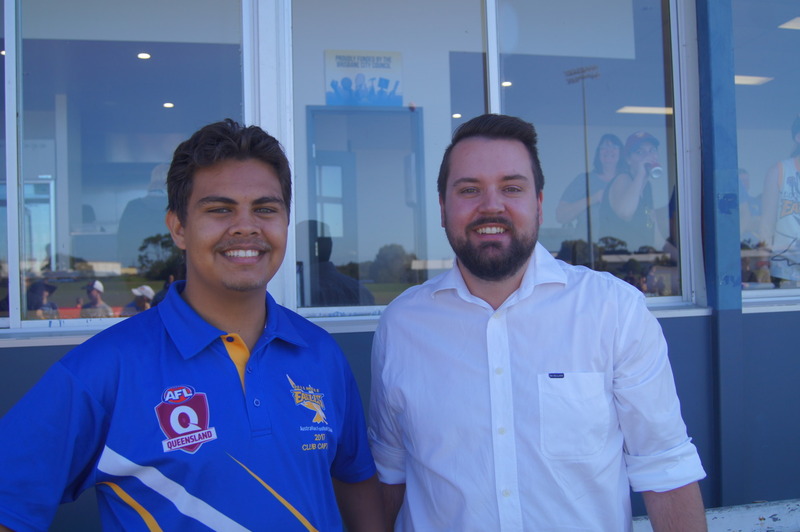 We’ve recruited some sensational new players and coaches for 2018 who are enthusiastic about the success of our club. As 2017 draws to an end, I’d like to take this opportunity to thank all those who contributed to our successes – bring on 2018! 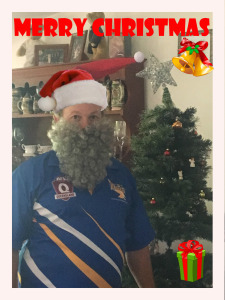 On behalf of the Committee, I would like to wish all our Players, Parents, Sponsors and Social Members a very safe and Merry Christmas. 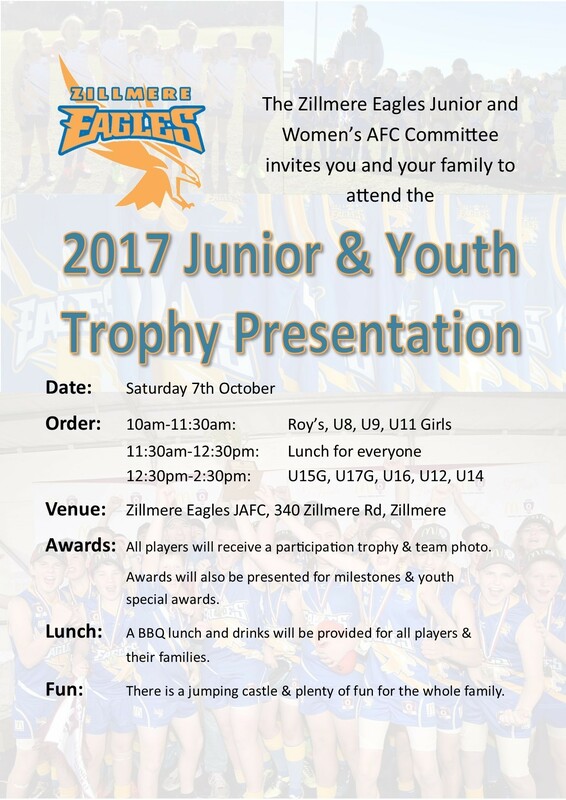 Zillmere Eagles Junior and Women's Australian Football Club The Zillmere Eagles AFC, one of Queensland’s longest serving football clubs, and is seeking applications for Junior and Youth Coaching positions for the 2018 season. 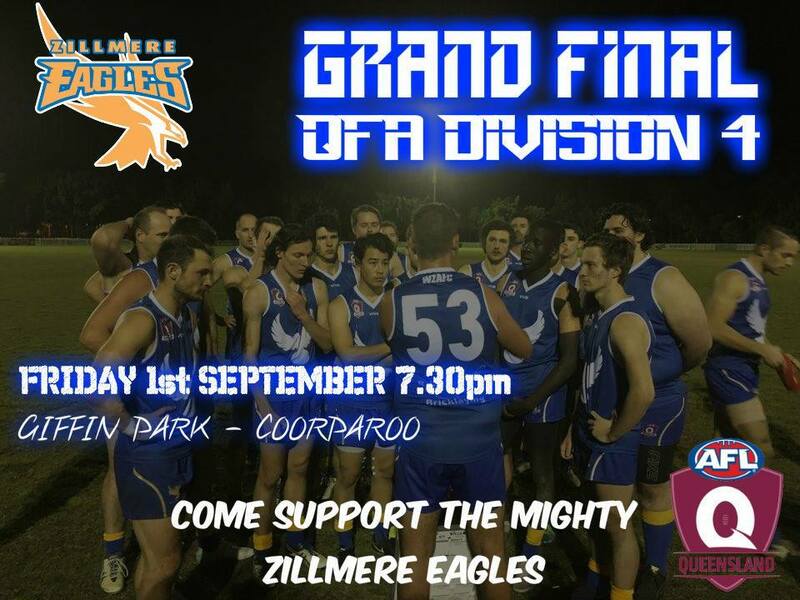 The Eagles heritage dates back to 1962 when Windsor & Zillmere Football Clubs merged. 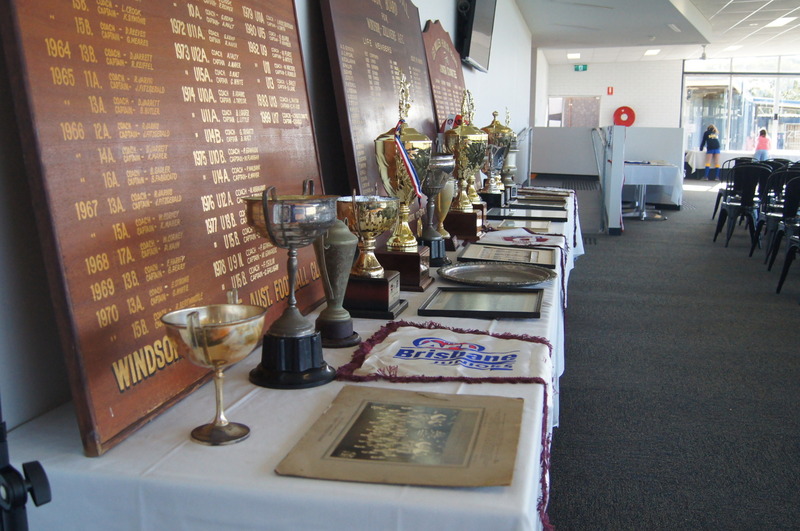 North Brisbane was established in 1991 from a merger of Windsor/Zillmere & Sandgate. 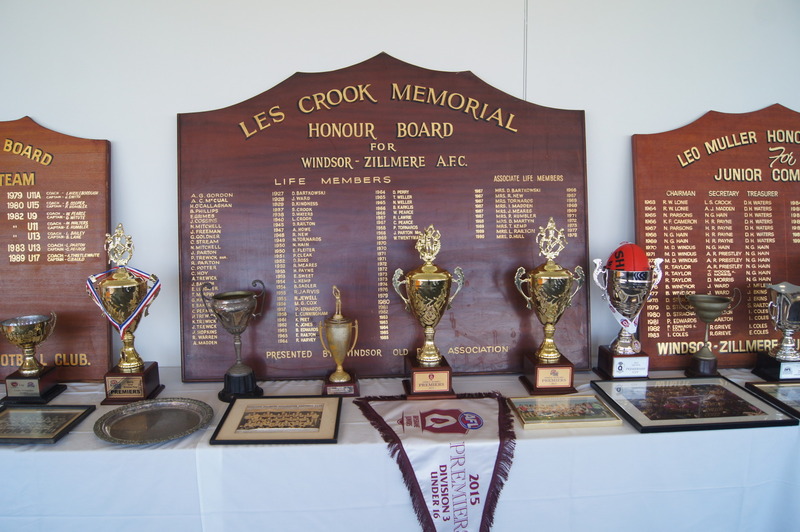 In 1997 the club evolved once again and became known as the Northern Eagles. 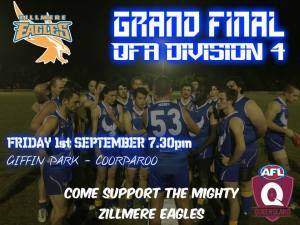 Most recently another chapter was written and in 2005 the Zillmere Eagles were born. Throughout the years one constant has remained our passion for football and to enjoy life both on and off the field for a balanced ethos. current and former Eagles to The Nest. Applications close Wednesday 1st November 2017. All players will receive a participation trophy & team photo. Awards will also be presented for milestones & youth special awards. 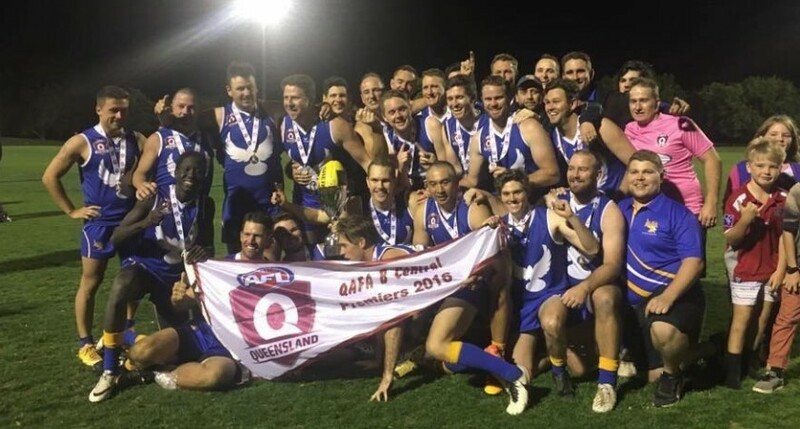 Congratulations to Coaches Ben Long, Daniel Walker and the players on winning the QFA Div 4 Grand Final against Sandgate Hawks. Back to Back Premierships for the Mighty Eagles. 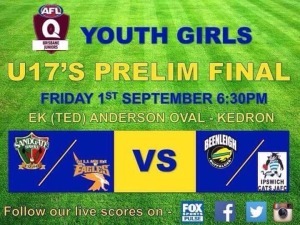 Come watch the local derby against Sandgate Hawks in this years QFA Div 4 Grand Final. 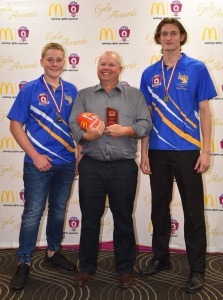 CONGRATULATIONS Joel Yorston and Callum Brooks on your Best & Fairest Medals, ell done boys. Our Club President also took out Club Administrator of the year as well - SOLID.!! Emily Davis finished 2nd by 1 vote in a nail biter for the U15 Divison 1 Girls. Rory & Jaiden tied for 3rd place for the U12 Division 4. The club is really proud of the nominees on a stellar season to date. 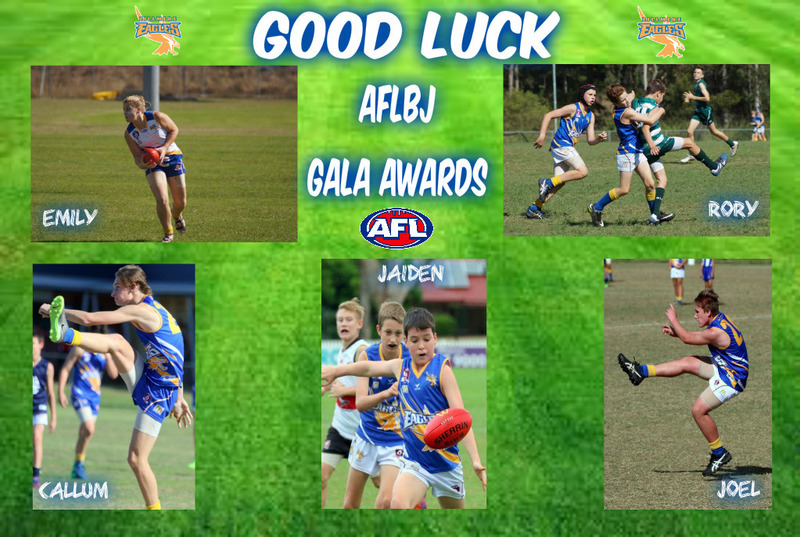 Congratulations to the 5 Zillmere players going to the AFLBJ Gala Awards. 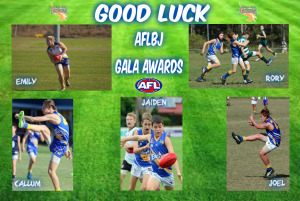 They have all been invited to the AFL Brisbane Junior Gala Awards night on Monday 28th August. 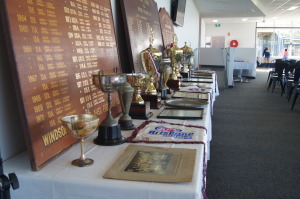 Only the top 4 players from each age group division are invited to the awards night so this is an outstanding achievement, this is the leagues equivalent to the Brownlow Medal. Well Done and good luck, we look forward to hearing the results next Monday night. " 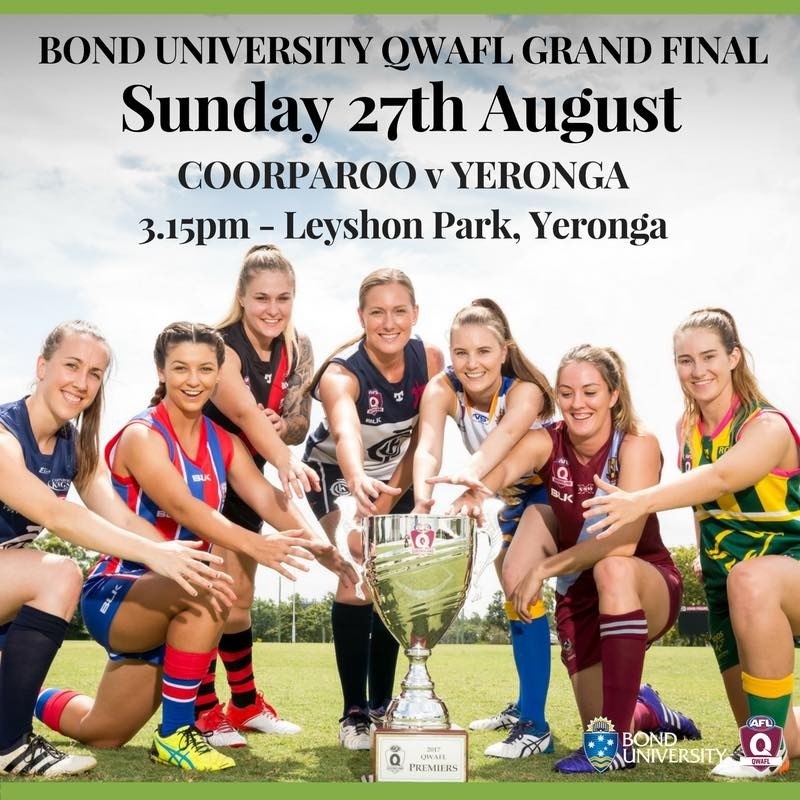 We are Zillmere "
Queensland’s best female footballers will battle it out for premiership honours in a grand final triple header at Leyshon Park Yeronga, this Sunday August 27. Be proud of the Guernsey that you are wearing.!!! Thank you for all your nominations. Clearly, there are a lot of Legends out there! It is now time to vote for the ultimate #SherrinLocalLegend. To vote for your favourite #SherrinLocalLegend, simply enter your email, agree to the Terms and Conditions and select 'Vote'. You can only vote once, so choose wisely! The voting period closes on Thursday 17th August 2017 at 12pm. To make sure your vote counts, you will need to verify your email. 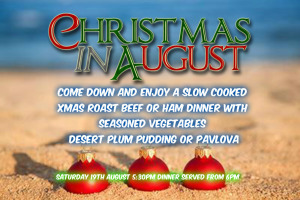 Anyone can do Xmas in July - we want to continue the opening celebrations with another month of Xmas celebrations. 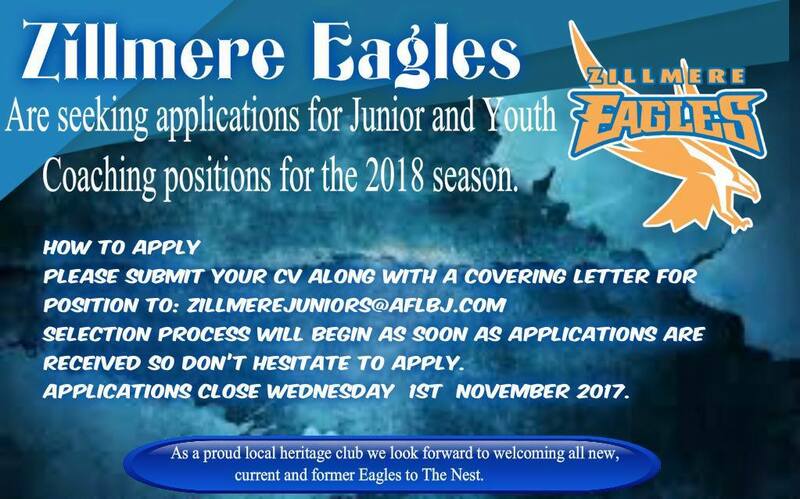 2018 heralds another big year for the Eagles, positions will become available at the clubs AGM date to be advised. 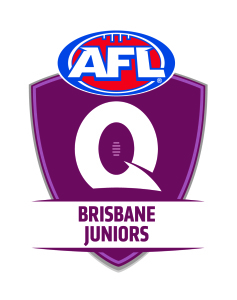 Fixtures including days, times & venues for the 2017 Brisbane Junior Youth Finals Series have been released. Next week is the AFL's campaign against social violence. 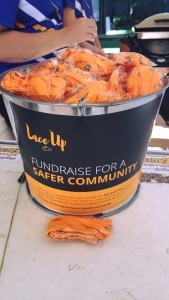 Our club is raising funds to raise awareness that One punch can end everything! Get your orange laces for a gold coin donation and wear them to show support next weekend! 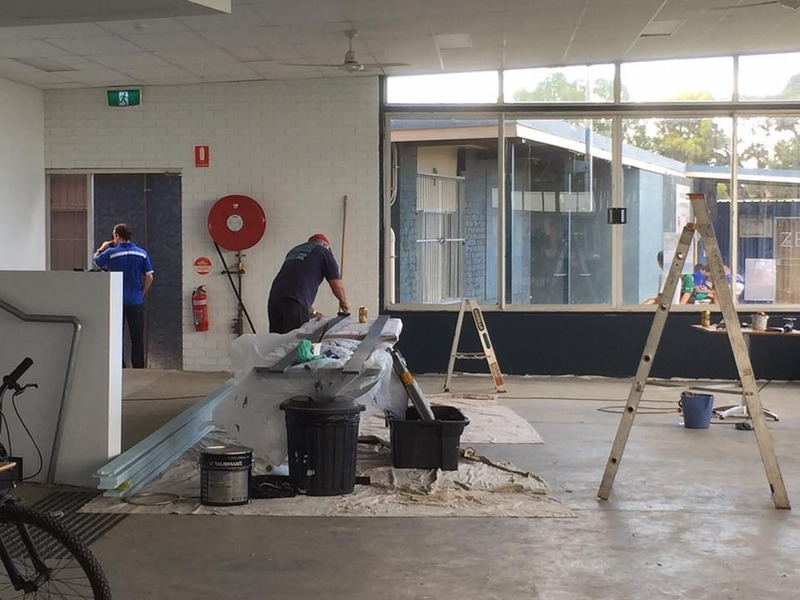 The official reopening of the club house at the Zillmere Eagles AFC. 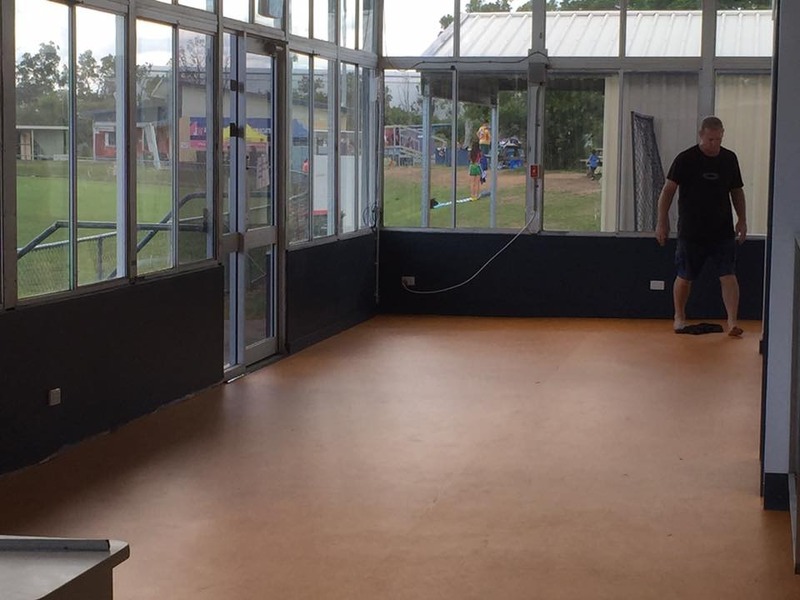 The viewing room will be a great addition to the facility and a great addition to O'Callagan Park. Thanks to AFL Queensland and the Brisbane Council for there support to this project. 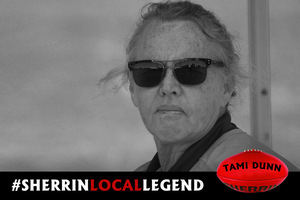 Congratulations to Tami Dunn, who is our first weekly Sherrin Local Legends winner! Tami has volunteered her services to the AFL & Zillmere Eagles Football Club for over two decades. "Mother to many, friend to all and a shoulder to lean on. Secretary, First-Aid, Ground Marshall, Canteen, Taxi Driver..." these are just a few of the jobs Tami does around the club. 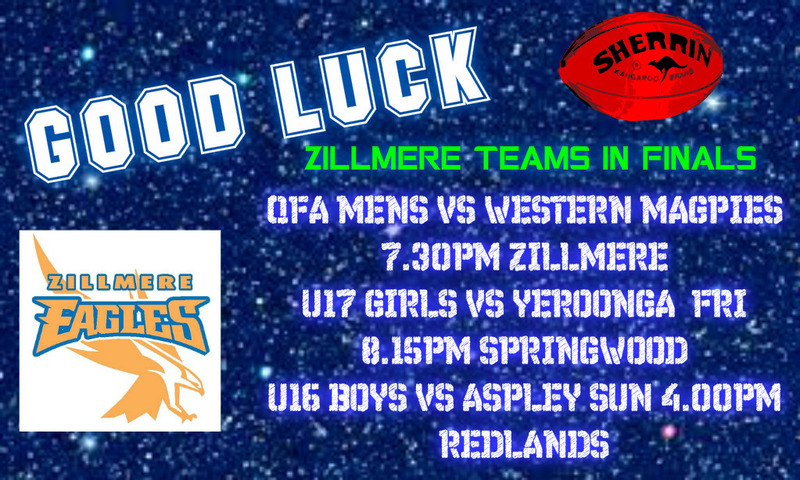 Tami will receive her very own personalised Sherrin and x4 Sherrins for the Zillmere Eagles. 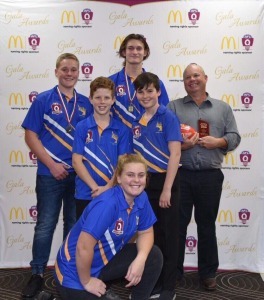 McDonald's Brisbane and the AFLQ Brisbane Juniors want to celebrate and acknowledge the generous contribution of our club volunteers! The Macca's Brisbane Volunteer of the Month is a special opportunity to recognise and reward the commitment of the McDonald's AFL Brisbane Juniors volunteers based on the McDonald's Brisbane and AFL QLD principles of supporting the community and encouraging kids to be active. 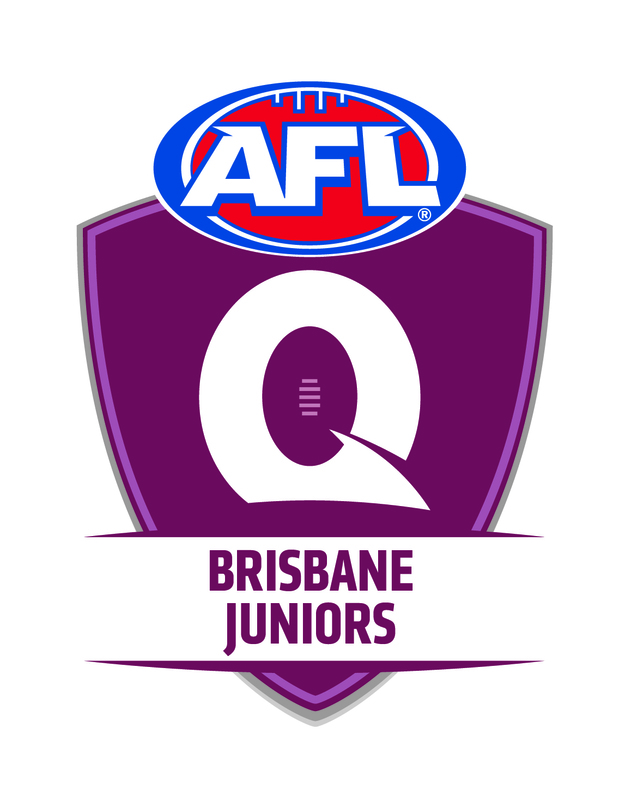 From early July volunteers associated with a McDonald’s Brisbane Junior AFL Club can be nominated by their Club President via email. 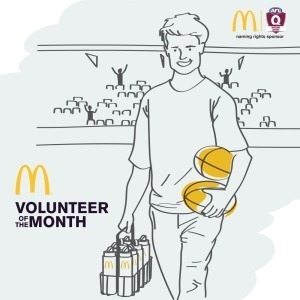 The nomination must include the person’s name, club name, picture and a brief description (50 words or less) on this volunteer's contribution to the game. All nominations can be emailed to Tony Saunders on Tony.Saunders@afl.com.au by the end of each month of the promotion. 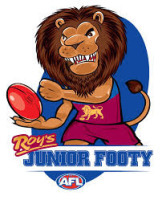 The monthly prize on offer is a Premium 2018 Brisbane Lions Membership valued at approx $465. The program will run for the months of July, August and September 2017, meaning we shall award 3 winners in total. 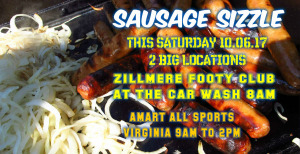 For more information please email Tony.Saunders@afl.com.au. 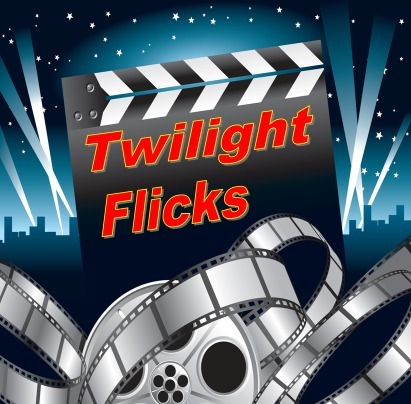 To keep up to date with nominations and winner announcements please visit us at our Facebook page. Thank you to all the volunteers for their generous contribution to the game! Round 10 of Get Started Vouchers opens for applications 12 July 2017. The program provides eligible children and young people aged 5 up to 17 (inclusive) who can least afford to join a sport or recreation club, with a voucher valued at up to $150 for membership and/or registration fees. It should be noted that vouchers are issued on a first come, first served basis; therefore there is no guarantee that a child or young/person will obtain a voucher. 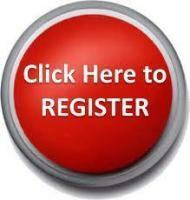 Over 4200 clubs have registered for the program. Clubs can apply for registration for Get Started Vouchers at any time. Registration is valid for the entire program period so there is no need to register for each round. 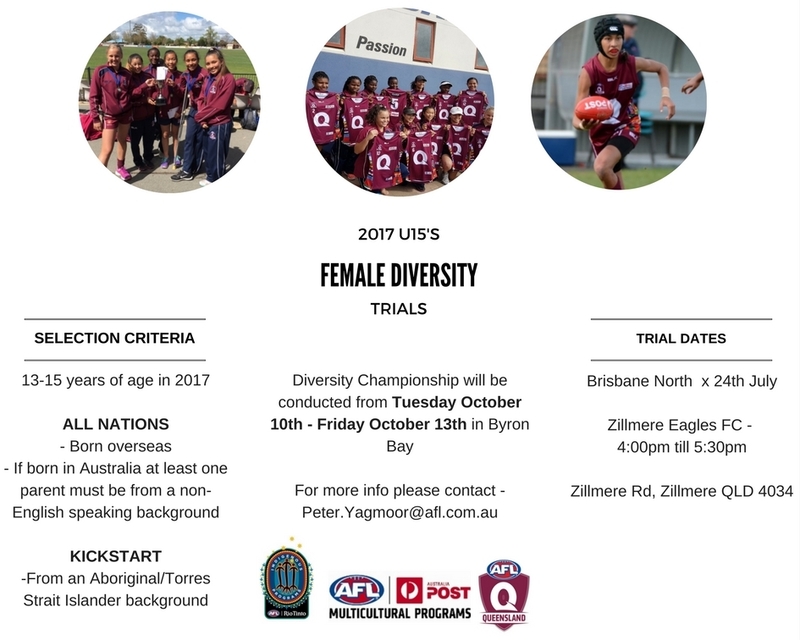 Fact sheets for clubs, parents/guardians/carers and referral agents can be viewed at http://www.qld.gov.au/recreation/sports/funding/getinthegame/getstarted/. The factsheets provide an overview of the eligibility criteria and application process. We encourage you to make sure all committee members and volunteers are aware the club is registered for Get Started Vouchers and who will be managing the redemption of vouchers at your club. Please redeem all Round 10 vouchers no later than 27 November 2017 by logging into your club’s QGrants account at https://qgrants.osr.qld.gov.au/portal. More information on Get Started Vouchers, including promotional materials that can be used by clubs to advertise their involvement in the program, is available at http://www.qld.gov.au/recreation/sports/funding/getinthegame/getstarted/. You are encouraged to promote the voucher release to your current and potential members. 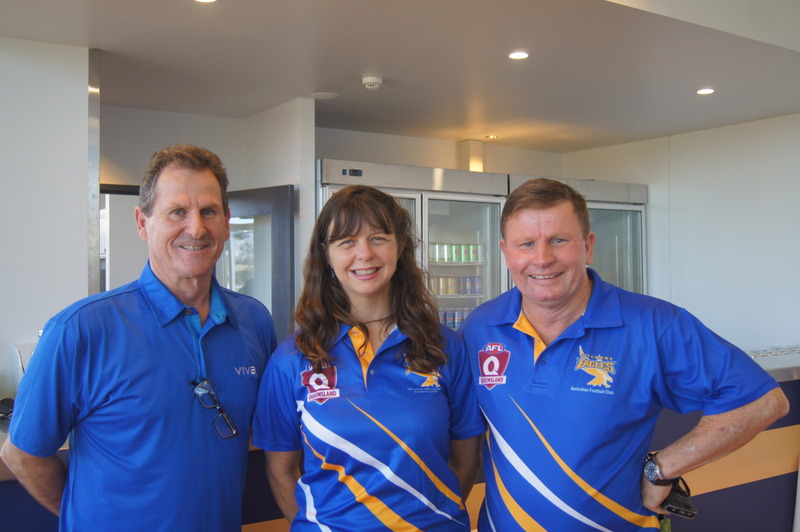 Nominations are now open for the 2017 AFL Queensland Volunteer and Coach Awards. 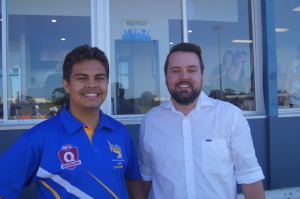 Volunteers and coaches are the lifeblood of Australian football. Without them, we simply would not have a game. They work for the love of the football, not pay checks or praise. Be it mentoring and encouraging our juniors, turning the snags on the match day BBQ or tending the club books. The AFL Queensland Volunteer and Coach Awards provide our Queensland football community with the opportunity to recognise outstanding contributions to the game by nominating the people who work tirelessly to bring our sport to life. A State Volunteer of the Year will be chosen from the nominations. He or she will receive a grand final package for two that includes air fares, accommodation and grand final tickets. They will also attend a grand final function and take part in the official AFL Grand Final Parade. Applications close July 31 and anyone can nominate. You can nominate as many volunteers and coaches as you wish. 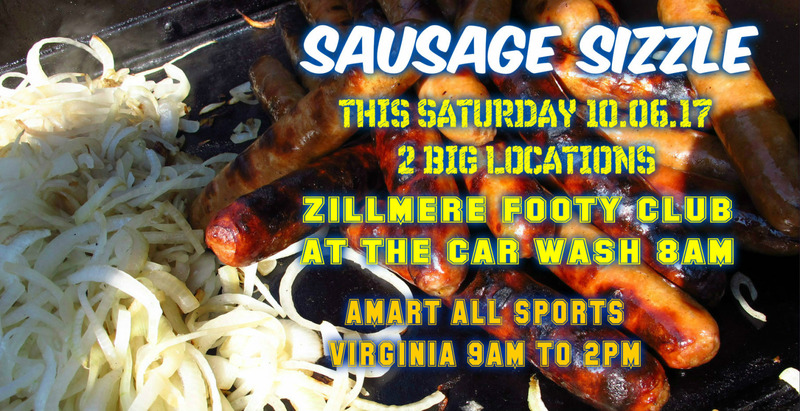 It's back by popular demand the "CAR WASH"
There will also be a Sausage Sizzle available on the day during the Car wash.
Help send the U16's to Melbourne and support their fundraising venture and get your car washed this Saturday from 8.00am at the club. After a long time waiting the club is starting to take shape with the new cliubhouse only weeks away from opening up. The new flooring in front of the canteen has just been laid and looks great. 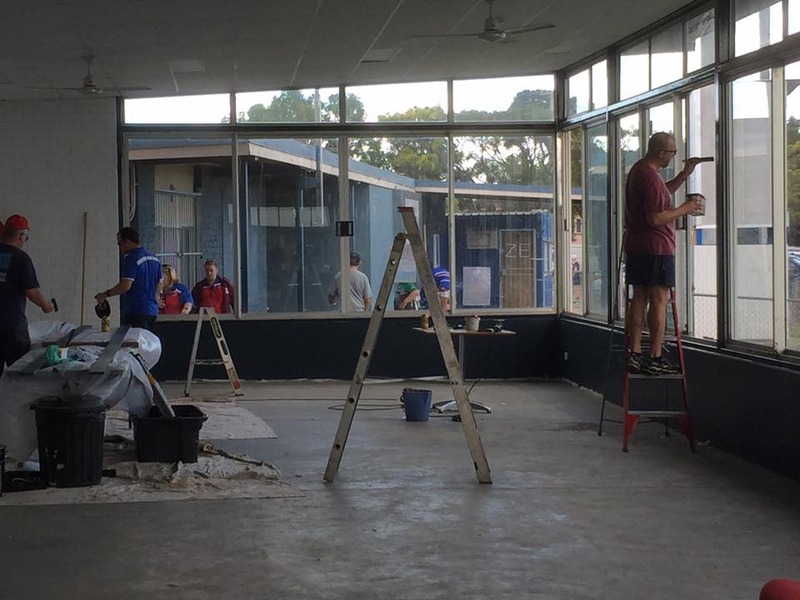 Alot of determination and hard work shown by our clubs volunteers has sped up the process and soon we will all be able to enjoy the club house once again. An exciting new menu will be just the start of the delectable delights coming out of the new state of the art kitchen. Queensland Government’s Get Started Vouchers program opens 25 January 2017. Please note important changes to the program, specifically around the referral agent process. The department now requires that eligible referral agents register with the department to be able to refer children and young people for a voucher. Further details regarding referral agent criteria and eligibility requirements are on our website, along with fact sheets for parents and referral agents. Simply Google ‘Get Started Vouchers’ or go to the information here www.qld.gov.au/recreation/sports/funding/getinthegame/getstarted/refer/. A child/young person can be referred to the program by a registered referral agent if they have access to a Health Care Card/Pensioner Concession Card, where there are significant issues that prevent the parent/carer/guardian from applying. These issues may include: internet or computer access, computer illiteracy, Living in rural/remote areas with limited internet capability. Further to this, referral agents may apply on behalf of a parent/carer/guardian where they are aware of the need for financial support to join their local sport or recreation club, and are assisting in their professional capacity. For further information on the Get Started Vouchers program, please refer to the website - www.qld.gov.au/recreation/sports/funding/getinthegame/getstarted/. 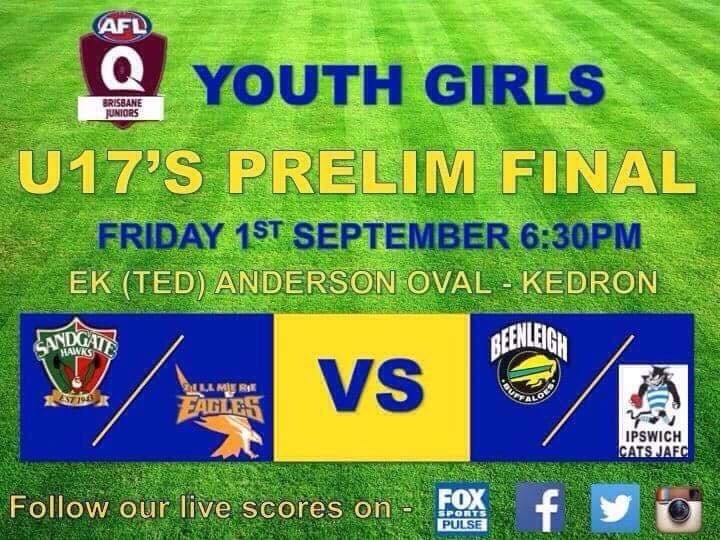 2016 finals game footage can be found through the below links. These are public links, so please feel free to share with club members. 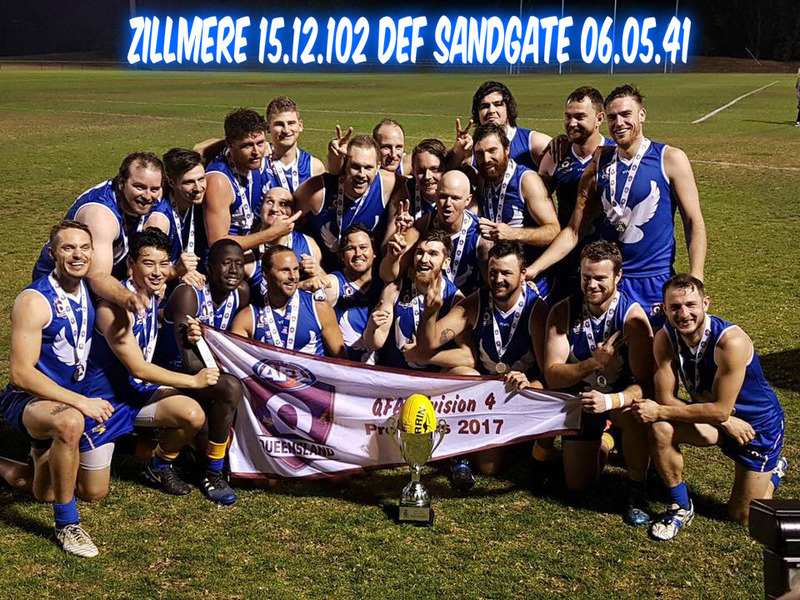 Zillmere are the 2016 QAFA (B) Central Premiers!!! We are a Brisbane based business with over 20 years experience in the graphic arts industry that pride ourselves on Turning Ideas Into Reality. Jonathan C Whiting & Associates is a Brisbane law firm who are specialised in QLD Personal Injuries.